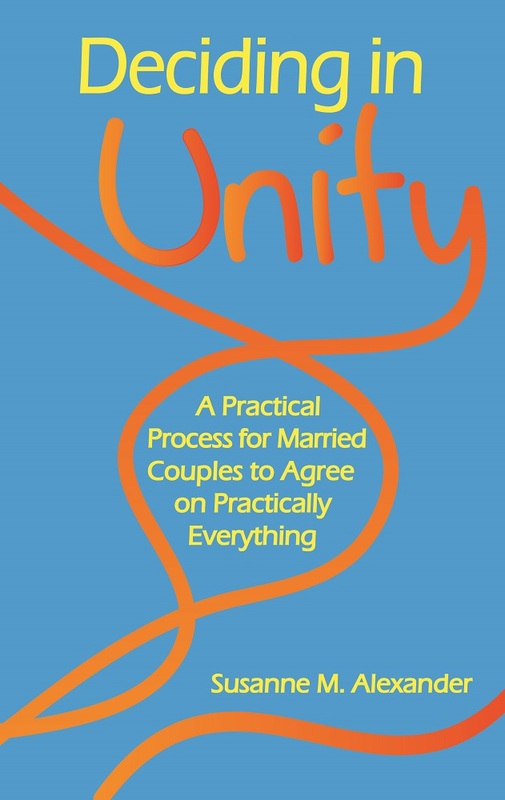 marriage | Book Hub, Inc.
Do you want a better way to make decisions as a couple peacefully? The two of you have decisions to make constantly, everything from who will go to the grocery to how you will manage your money. And you would like to do it all without fighting. All sizes of topics can be tough–and sometimes painful–when you need to agree and act on the decisions together. No matter how long you have been together, there is a better way. Susanne M. Alexander is a Relationship and Marriage Educator and Coach with her education and publishing company Marriage Transformation® (www.marriagetransformation.com). In her life, Susanne has been single, dating, engaged, married, divorced, and widowed. She has been a parent, stepparent, and grandparent. She has also been a child and a stepchild. All of this has given her a diversity of experience to share! Posted on October 4, 2013 by BookHubInc Tagged Addictedall romance ebooksarranged marriageauthorbest sellerbest sellingbest selling ebooksbestsellerbestsellingbestselling authorblue star booksbook hub incbook reviewsbookseBookebooksEnglanderotic romancefictionhistoricalhistorical regencyhistorical romanceJoAnn DeLazzarilovemarriagenew romancepassionpeeragepiratesreadingregencyregency romanceromanceromance authorromance bookromance ebookromance fictionromance novelromance writerscoundrel's desireshipthe rebel bridethe rebel's bridethe scoundrel's captiveupper classwarwar of 1812writer	CommentsNo Comments on ‘The Rebel’s Bride’ Makes it to #15 on ARe’s Best Sellers List! 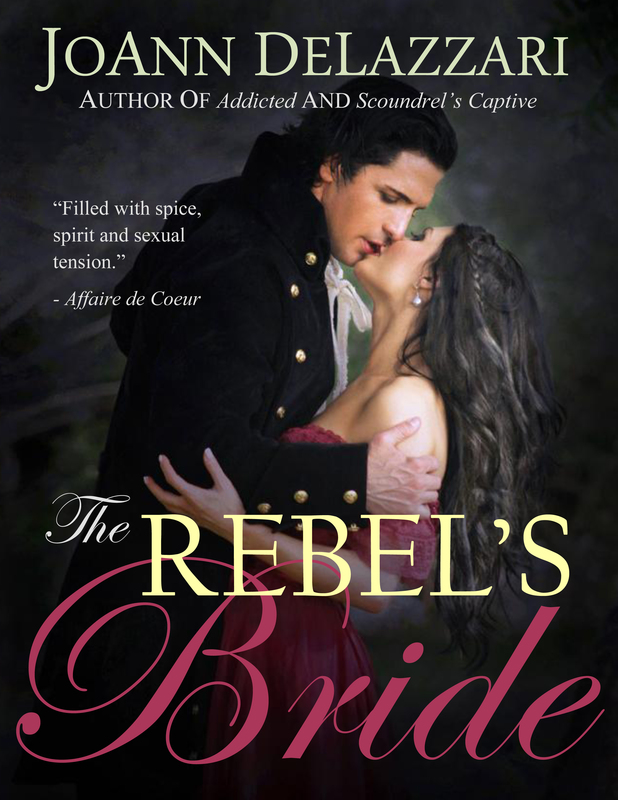 ‘The Rebel’s Bride’ Makes it to #15 on ARe’s Best Sellers List! has made it to #15 on All Romance eBook’s Best Sellers List! See what the buzz is about… and receive 35% off ‘The Rebel’s Bride’! The last thing Ransom Kent wants is a bride. A woman cost him his peerage and his family in England. Now a rebel with a dangerous job to do for his adopted country, Ransom Kent’s word is all he has left to honor his father and so he agrees to an arranged marriage to the scandalous daughter of a duke. Catherine Thorpe has no expectations of marriage in England and owes much to her cousin. She agrees to take her place as the expected bride and sails to a new life. She doesn’t believe her impersonation will lead to romance and true love, but she didn’t expect to become the Rebel’s Bride. A wonderfully well written book filled with spice, spirit, and sexual tension. Another great read…kept me up all night. I loved it. Can you send me the hero? Another great read…kept me up all night. I loved it! “Foster respect for the environment and a lifestyle that results in health and well-being.” -E.G. Elder George has devoted a major portion of the last 20 years to explaining the principle of gender and how it affects the functioning of the universe. He hosted a public access television program in Manhattan for nine years in which he explained his message in detail and to which he received an unusually high following for this medium. He served as a paid weekly columnist for seven ethnic newspapers in which he related the needs of society to gender. Elder George is chief of Men’s Action to Rebuild Society, a spiritually-based and gender-oriented organization that promotes a more natural way of life for humankind. He is the author of A Gender Handbook for Western Man and Dear Brothers and Sisters: Gender and Its Responsibility. Elder George’s books are available where eBooks are sold. Visit http://www.mensaction.net for more information. In his book “A Gender Handbook for Western Man,” author Elder George states that Western thought suffers from a gender imbalance, specifically from a lack of masculine influence, and does not understand the purpose of human existence. George maintains that mankind’s purpose on Earth is the propagation and preservation of humankind while on its spiritual journey. Consequently, Western thought has pursued a grossly materialistic lifestyle, leading to the destruction of the family and consequently an implosion of society. George attributes the issues facing society, such as high prison populations, high divorce and adultery rates, the growing dependency on medication, and the increasing incidence of mental illness, to Western thought’s ignorance of gender and the patriarchal structure necessary for the well-being of humankind. George believes that those with a marriage, a family, and a spiritual orientation realize the limitations of the materialistic society that engulfs them. In need of direction, “A Gender Handbook for Western Man” offers hope and direction by describing in logical, non-technical, and readily understandable terms the natural patriarchal way of life that supports family. In his work “Dear Brothers and Sisters: Gender and Its Responsibility,” Elder George explains the universal principle of gender and describes how the imbalance of gender, specifically the suppression of the masculine influence, in Western society has adversely affected the lives of every man, woman, and child. He shows that our burgeoning prison population, increased membership in street gangs, and decline in standards of all sorts are gender-related. He explains that family is a necessary institution for the proper nurturing and protection of the human race, and that gender differences supplement each other in the collective effort of propagating and preserving the species as it grows spiritually. Elder’s work is written for the concerned men and women who realize that brothers and sisters working together can establish a spiritually-based and gender-oriented society that will ensure relative stability and security while fostering future development.